Cuba’s 89-year-old revolutionary leader Fidel Castro delivered a rare speech to the Communist Party, stating he is nearing the end of his life and that members should carry on his socialist ideals after he dies. “I’ll be 90 years old soon. Soon I’ll be like all the others,” Fidel Castro said in a “farewell” speech to the members of the 7th Congress of the Communist Party of Cuba that was broadcast on state television. “The time will come for all of us, but the ideas of the Cuban communists will remain as proof on this planet that if they are worked at with fervor and dignity, they can produce the material and cultural goods that human beings need, and we need to fight without truce to obtain them,” he added during the closing ceremony. 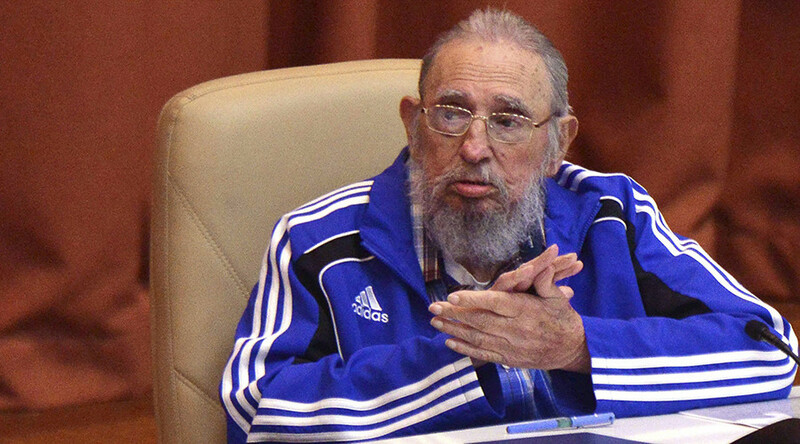 Castro has remained out of the public eye in recent years after his health deteriorated since stepping down, with his brother Raul replacing him in 2008. Castro’s speech followed the Cuban government’s announcement that Raul, 84, will retain his role as the Communist Party’s leader for another five years, meaning he will continue to hold one of the highest positions in the country, despite his presidential term expiring in 2018. The latest announcement comes after President Castro proposed setting an age limit of 70 for those looking to lead the country. In March, Barack Obama became the first US president to visit Cuba since the 1959 revolution. Fidel Castro, however, mocked Obama’s visit and said that Cuba “has no need of gifts” from America.